In any normal world, this would prompt a massive, collective, “whoa.” But the bland statement is buried within the article in the Times. Most people seem to have missed it. For years, researchers have argued that U.S. military agencies (and several other national militaries) have recovered and studied UFOs. Indeed, a number of declassified documents, to say nothing of a virtual avalanche of testimony, have at least supported this claim. So now we have it acknowledged in the New York Times itself, although couched in disclaimers (“Mr. Elizondo and program contractors said…”). Even with the disclaimers, however, don’t we want to ask what exactly constitutes these “metal alloys and other materials”? This is a reasonable question. We are talking about, quite literally, recovered UFOs. What, if any, were the conclusions generated by Bigelow Aerospace regarding these materials? There has been a lot of quiet talk about this over the past few years. Former U.S. Airman John Burroughs, from the well-known Rendlesham Forest case of December 1980, has experienced documented and life-threatening physical after-effects from his encounter with a landed UFO. He was also the investigator who first recognized the immense value of the declassified U.K. report from the late 1990s known as the Condign Report, which discussed at length physical effects on human beings from UAP — that is, UFOs. So, these are things that researchers essentially already knew, but now the New York Times confirms that U.S. taxpayers funded, via the Pentagon, studies of such physiological and biological effects. Again, we want to know: what conclusions, if any, were found? More to the point, wouldn’t it be worthwhile to flesh out this story? We don’t yet know all the UFO cases studied by the AATI Program. But at least one high profile encounter has now reached us: the November 2004 incident involving the USS Princeton one hundred miles off the coast of San Diego. This was the theme of the other article published by the New York Times on December 16. Briefly, Commander David Fravor and Lt. Commander Jim Slaight were each flying F/A-18F Super Hornets on a routine training mission. 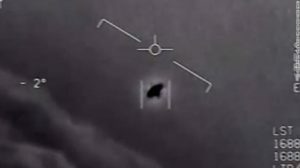 It turned out that for the previous two weeks, the Navy had been tracking extraordinary unidentified objects that would appear at 80,000 feet, dive to 20,000 feet, stop and hover, then drop out of radar range or shoot straight up. Now something once again appeared on Navy radar, and Fravor and Slaight were ordered to investigate. The weather was clear and perfect. Fravor got in the closest and saw a whitish object he described as “tic tac shaped” hovering 50 feet above churning water. He estimated it to be about 40 feet long. As he initiated a circular descent and approached the object, it ascended as if to meet him. He then dove straight at the object, at which point it sped away nearly instantly. In an interview with Tucker Carlson, Fraser didn’t give an estimate of the object’s speed, but he did describe it as accelerating from a dead stop just over the water to an altitude of 12,000 feet and being out of sight, all within two seconds. He would only state that its speed was “well above supersonic,” or “like the bullet out of a gun.” Just for fun, we can do our own rough estimate of the speed, based on his information. During the interview, Fraser stated that there was more than fifty miles of visibility that day, with “easy” visibility of ten miles. It’s reasonable to think the object travelled at least ten miles within two seconds, and perhaps over fifty miles. His observation is spot on. If such technology were Russian or Chinese, the U.S. would be losing its collective mind. And yet, no one seems to believe it’s Russian or Chinese. Which begs the obvious question: to whom does this tech belong? Something “beyond next generation,” as Elizondo put it. If I think about what that phrase means, it would seem to be something vastly beyond not only what we currently have, but what we can imagine doing for the foreseeable future. And yet, there it is, easily outperforming some of our top fighter-interceptors. Can we really think that no one in the military hierarchy cared about these events? I believe that there are those who very quietly care a great deal. But why stir the pot, so to speak, when there is absolutely nothing you can do about it? On a related note, can we realistically think that, given the extraordinary nature of these events, and the truly incredible implications of the technology encountered, that no other funding has been allocated to study or deal with it? There is a reason Elizondo was only hearing the sound of crickets. Because the study of UFOs continues to be revolutionary. It always has been, and this is why the most intense levels of secrecy have surrounded it since the Second World War. A few other random thoughts arise from all this. It’s interesting that while Bigelow Aerospace was contracting with the Pentagon to analyze physical pieces of UFOs and more, it also had a relationship with the Mutual UFO Network (MUFON), in which Bigelow’s organization provided money to MUFON to assist in on-site investigations of UFO encounters and sightings. The relationship ended acrimoniously. MUFON members believed Bigelow was simply using the organization to siphon its best cases while Bigelow appears to have been unsatisfied with the ragtag and sometimes less-than-professional nature of MUFON’s investigations. Probably both sides had a point, but the reality is that Bigelow’s relationship with MUFON now appears in a new light, as part of a larger effort to obtain hard data about UFOs. Another random thought. You might remember there were quite a few citizen based initiatives throughout the 21st century that, either explicitly or implicitly, sought to obtain some sort of government acknowledgement on the reality of UFOs. 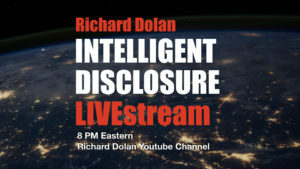 From the Disclosure Press conference of 2001 organized by Dr. Steven Greer, to the numerous X-Conferences organized by Stephen Bassett, as well as press conferences involving Leslie Kean (who co-authored the two pieces in the New York Times), James Fox, Robert Hastings, and others. None of these events elicited the slightest positive response from any branch of government. In 2011, Bassett organized a “We the People” petition to the Obama White House to formally “acknowledge an extraterrestrial presence engaging the human race.” It garnered 12,078 signatures, more than enough to force a response from White House spokesperson Phil Larson, who simply stated that not only did the U.S. government lack evidence suggesting extraterrestrial life beyond or on our planet, but that there was “no credible information to suggest that any evidence is being hidden from the public’s eye.” All this, while Elizondo and the AATI existed and actively studied UFOs. Just two years after that, Bassett organized the massive Citizens Hearings on Disclosure. Forty witnesses and researchers testified for an entire week about the reality of UFOs at the National Press Club in Washington, DC before six retired members of Congress and the Senate. I was actively engaged in this hearing, and saw firsthand the dramatic transformation of each member of the panel. The information presented to them clearly rocked their world. All of this is to say that a mere scratching of the surface finds more than enough reason to warrant the most detailed and profound investigation of UFOs. But there is indeed an establishment in this society, and organizations like the New York Times are part of it. Which begs another question: why would the New York Times publish anything at all on this matter? Without question, the paper has a spotty track record of accuracy and honesty in its reporting. Some of this can be traced to its history of cooperation with the U.S. military-intelligence community (as in the case of Operation Mockingbird). Perhaps this explains why the Times willfully lied about UFOs as far back as 1947 when it promoted the military’s explanation of Roswell (weather balloon). For, whatever else you believe about Roswell, it wasn’t a weather balloon. The New York Times promotes deceptions well beyond UFOs, of course. The fiction about weapons of mass destruction in Iraq, promoted actively by the George W. Bush administration, was frenetically disseminated by the NYT, resulting in the destruction of that entire nation, and arguably much of the Middle East. More recent lies about Libya, Syria, and Ukraine, all promoted by rabid neocon warkhawks, repeated in the Times, and creating tremendous human suffering. Well, of course. Along with the Washington Post and CNN, the New York Times is the voice of the establishment, that is, of the most powerful members of our society. They are the embodiment of “mainstream.” Such institutions are not here to radicalize the population with truth and such. So to repeat: why publish these two articles? It’s a fair question to ask. Was this simply a great scoop by dedicated journalists, or is there something else at work here? Look, I am not impugning these journalists as some have done by referring to this story as some sort of “false flag” (a claim that not only makes no sense, but obliterates the meaning of the term). I am glad and grateful they wrote these articles. But we can’t ignore the fact that these were published where they were. Anyone paying attention knows that this story was really opened up by the To the Stars Academy press conference two months ago by Tom DeLonge, formerly of the rock band Blink 182. Elizondo presented there, along with several other impressive scientists and officials from the world of science and the intelligence community. Although the participants said it wasn’t “about” UFOs, everyone knows that is precisely what it was about. This press conference is where the 2004 sighting first received a wide audience. It was clear from this event that high-level people were taking UFOs seriously, even in our 21st century. It’s fair to say that this press conference jump-started a process. The establishment could have continued to ignore this developing story, just as it usually does. But I suspect this was a story that needed to be confronted head-on, and so enter the New York Times, almost as if it were the official voice of the government. This story looks to me to be an exercise in damage control. Again, this is not to state that the authors were consciously seeking to do this. But authors answer to editors, who answer to publishers. And you can’t just throw things out there willinilly if you are writing for the New York Times. You just can’t. How likely is it that what has been reported is the entire story? Clearly there is much more going on here. These two articles, dramatic as they are, strike me as cauterizing a wound. You keep the main story contained by releasing a portion of it and hope that nothing more is needed. There are the telltale signs of classic NYT debunkery, even in these pieces. Indeed, one of the titles make you wonder. “Glowing Auras” sounds definitely spooky, sci-fi, and woo. The phrase black money just has to be in quotes, since after all you can’t recognize that such a thing really exists. And finally, it’s amusing to see that the Times continues to insist on keeping periods in the word UFO. This isn’t the 1950s; UFO is recognized by everyone around the world. You’d think that after all these years these people could take the pole out of their collective asses, breathe deeply, and just use the damn word. I can’t help but think that, by not recognizing the word UFO fully, the Times isn’t fully recognizing the reality of the phenomenon. It’s subtle but real. Seriously? There is no reason whatsoever to include such literally meaningless statements as these except as necessary filler — a psychological placeholder. That is, while you read powerful testimony that tells you the U.S. military encounters and studies real UFOs, the skeptical mantras continue to ruminate in your mind. I’ve been asked many times if these new revelations constitute “disclosure.” To which I answer, no, they do not. We are not getting a statement from the government that UFOs are real and they don’t know what they are, much less that UFOs are alien in nature. Nothing of the sort has happened. Moreover, the skeptical commentators refuse to give this story any meaning, and most of the news establishment, while admittedly giving the story fair coverage, already seem to be going back to telling you about Putin’s plans to destroy American Democracy. It does seem to me, however, that the UFO reality just became a bit more real as a result of all this. It will be harder for authorities to dismiss. Skeptics may rail all they want, but rational, critically-minded people are seeing that there really is something going on, and it surely seems very important. There also appears to be a very large story lurking behind what we have already learned. Those who have studied their history know that this sort of thing has happened before. Uncomfortable revelations about UFOs have been arising for many years, and each time it seemed to some that the end of secrecy was near. This time may be no different from the others. In my view, nothing seems capable of derailing the American-Now-Global system that wants 24/7 control over the information that reaches your eyes, ears, and brain. Presidential elections clearly don’t make a difference, no matter what the supporters and detractors of Donald Trump think. New guy comes in, old policies remain in place. I’ve said so many times that UFO Disclosure is a paradox that I’ve stopped saying it because it became a cliche in my mind. And yet, I continue to feel that it’s impossible and inevitable. Impossible because there just appears to be no motivation for those holding the power to release this information. It’s way too disruptive. It also appears to be inevitable. Nothing stays the same, certainly not in our time. I don’t know where we are headed with all this, and I will urge you not to trust those who claim they do. No more predictions, please. But it does seem to me that history began moving a little bit faster on December 16. Let’s all take a collective deep breath, stay focused, and above all remain curious enough to keep asking questions. Rich, thanks for this penetrating article. As usual, you and I think along the same lines. However, I do have a couple of comments that I hope you will consider. You wrote “We are not getting a statement from the government that UFOs are real and the government doesn’t know what they are, much less that UFOs are alien in nature.” I disagree. I don’t have the text of the NYT article in front of me, but I do recall that they said the UFOs were not Russian or Chinese technology. And they did say that they didn’t know what they were. Check the text of the article. I think there is more to the lack of followup coverage by the mainstream than your statement that “…. skeptical commentators refuse to give this story any meaning, and most of the news establishment …. 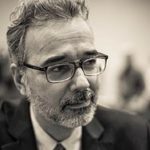 already seem to be going back to telling you about Putin’s plans to destroy American Democracy.” This almost total lack of followup coverage on the government breaking the biggest story of all time – that we are being visited from we know not where by a technology that is far superior to our own and we have no idea of what they are – is astounding. Journalists, for all their shortcomings, do have a ravenous appetite to get “the story” out ahead of anyone else. It makes reputations and leads to honors and the chance to money. There are numerous avenues of investigation that have not been used: they could interview Bigelow or Reid or the officer at the head of the Defense Department or physicists like Micao Kochio (sorry for the incorrect spelling) or the proverbial man in the street. Yet, after the obligatory interview of Elizondo by most mainstream news organizations, there is only the sound of silence. This total lack of interest in this huge news story can only be explained by direct government control of the press. They may be doing damage control, but at their own pace, as you write. Or the December announcement may only be the first installment of a measured disclosure policy. From what I read, there are numerous government officials and journalists, with John Podesta being the prime example, who have been agitating for disclosure for a long time. Another surprise reaction to this partial disclosure is my personal experience with friends who routinely either denigrate any UFO topic or completely ignore it. I thought that a revelation, even one so limited as this one, would at least have some effect on my friend’s interest in UFOs. But no, they look more pained than usual when I bring up anything having to do with UFOs. I think that the apparent lack of interest by the common man in the reality of UFOs is that they are scared out of their minds by even the thought that UFOs may actually be real. Thanks Dean for these comments, and I think you make excellent points. 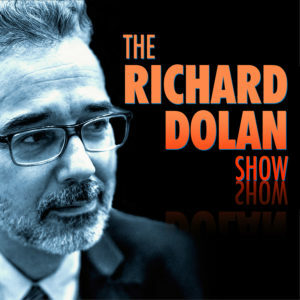 Mr. Dolan you are correct in the sensing of a larger story behind the publishing of the Navy pilots ufo sighting. More to follow shortly I suspect. Greetings Wandless and welcome to the site. Like many here, I am following this development for sure. If any of the members here learn something, I am sure we would all be grateful to hear it.